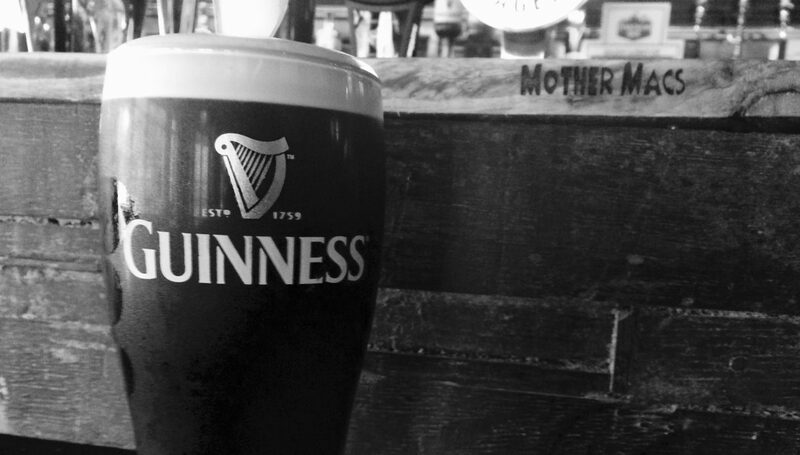 Mother Macs Public House is one of limericks most iconic buildings located on High Street and upper Denmark street. The building itself know locally as the round house dates to 1787 (first reference in historical documents) but the exact age of the building is uncertain. The building itself over the years has had differing functions as a pub, a whiskey/wine/tea merchants and a grocery shop. For much of this time it had the name O’Malley (O’Maely) over the doorway. The RoundHouse Bar ceased trading in 2015 and was purchased by two local brothers who opened Mother Macs Public House in Dec 2015. Since this time the pub has become renowned for it large selection of craft beer both on draught and capped. It offers rotational craft taps, guest taps, specials and a large selection of capped (bottled) beers. It boosts an impressive selection of Whiskeys and any visitor should ask about the Whiskey of the Month offers. The pub has stayed respectful too its roots and has the distinction of being one of only a small handful of bars in Limerick without a TV. The current owners believe in highlighting the vast abilities and talent of local artists and the distinctive signage of Mother Macs is the work of local and internationally renowned sign writer Tom Collins. It is this new look and development of the area immediately adjacent that has helped Mother Macs win the Overall Tidy Towns Award for 2016. Being part of the local community is at the heart of Mother Macs. The owners make the pub available for a wide variety of events and activities. In 2016 Mother Macs was the venue for Liam Gillicks “And Then…. as part of EVA International festival. Peggys Parlour (formally Alices Off Licence) is equipped with Gallery standard art hanging rails, this room has been used to present work from local up and coming artists. Mother Macs had the distinction of winning the Best Pint of Guinness in Limerick as voted by readers of the Limerick Leader News Paper.